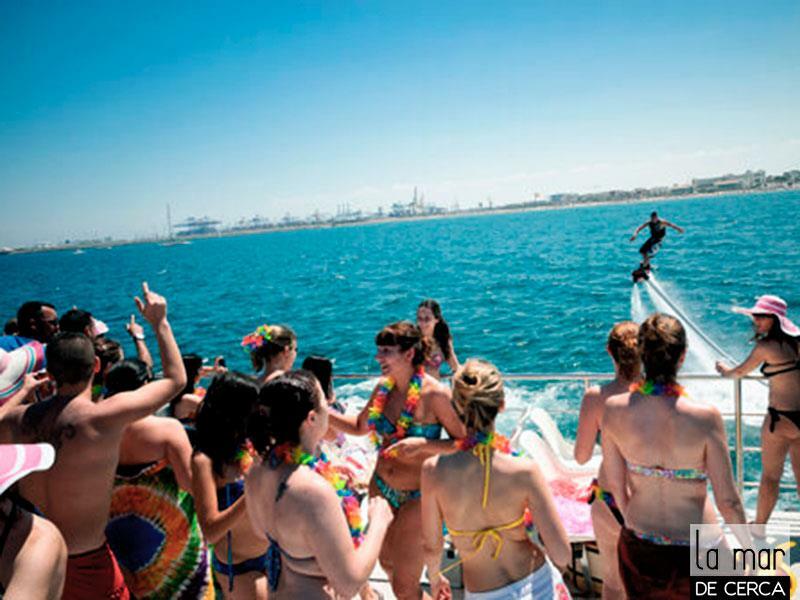 Valencia cruise party is an opportunity to have fun in a unique way! 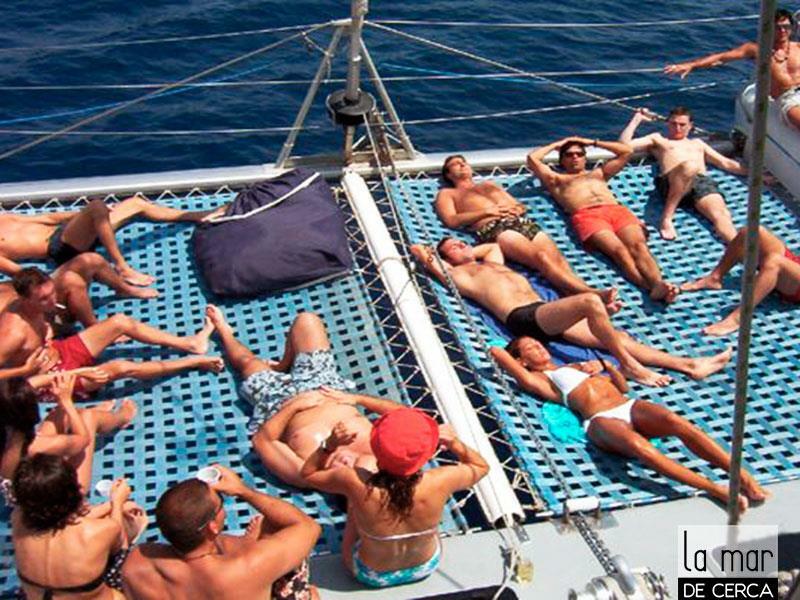 At the sailing catamaran, you’ll have the opportunity to take delicious lunch as you enjoy their playlist, the mojitos, and refreshing bath; just to mention a few. You’re then scheduled for a deluxe cocktail and Tapa at a beach bar. You’ll definitely love the tour to the most exclusive regions- the modern architecture alongside entertainment will fascinate you! You’ll love the sight of the bay and coastal town; not to mention the coastal adventures such as sunbathing and sipping a mojito. 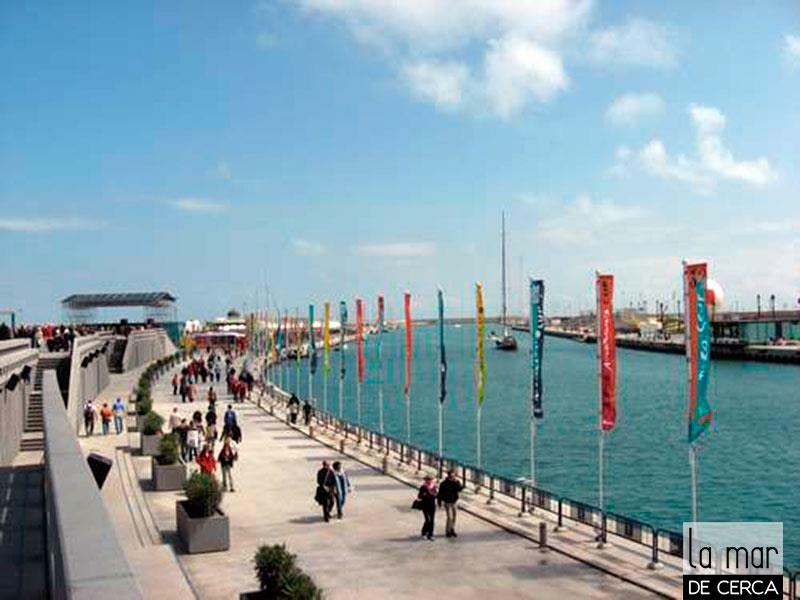 You’ll have time to swim before proceeding for paella lunch. 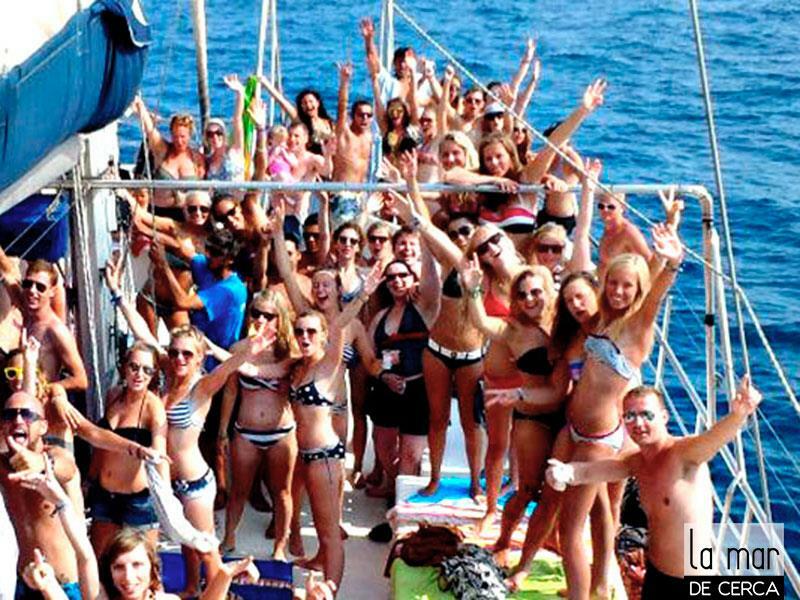 Later, soaking up more sun and dancing as the cruise heads back to port is the order of the day. You’ll love the whole adventure! At the shore, a delicious cocktail awaits you. You'll have a tapa to accompany your cocktail at a classic pub with a waterfront terrace situated at Playa de las Arenas - located only a short distance from the harbor. THE PLEASURE OF COOKING. 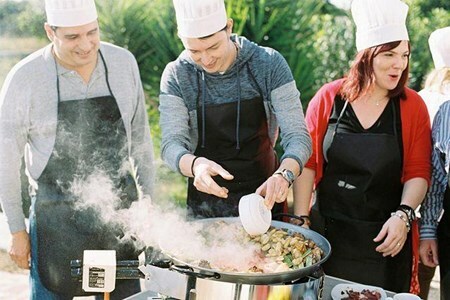 PAELLA COURSE We welcome you to enjoy the pleasure of preparing the real Valencian paella just as the Valencians do, in a classic country house girded by rice ... morefields and orange groves. In the process of your cooking, our Chef will leak to us many secrets, myths, advice, traditions, and unique techniques required for the preparation of this famous Spanish dish of international repute. As the paella cooking slowly, we will have a break to enjoy an aperitif and drink with products normal for the orchard of Valencia. After enjoying the paella, we will relish the fruit from our garden and "La coca de Llanda", a homemade cake truly cherished by the Valencians accompanied with "Mistela", a sweet drink. Our Chef will issue a certificate at the end of the course, to certify you as an ambassador of the authentic Paella. 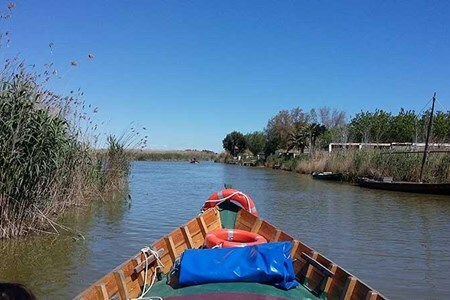 PRIVATE TOUR "ALBUFERA NATURAL PARK"
Having enjoyed our gastronomy, we will finalize the day with a tour to the "Albufera Natural Park" to have a very close-range experience of the breathtaking Valencian countryside. We will tour the "Montañeta dels Sants", in the company of our professional local guide. The "Montañeta dels Sants, is a special location where you will observe the lovely views of the Albufera Lake and the rice fields. 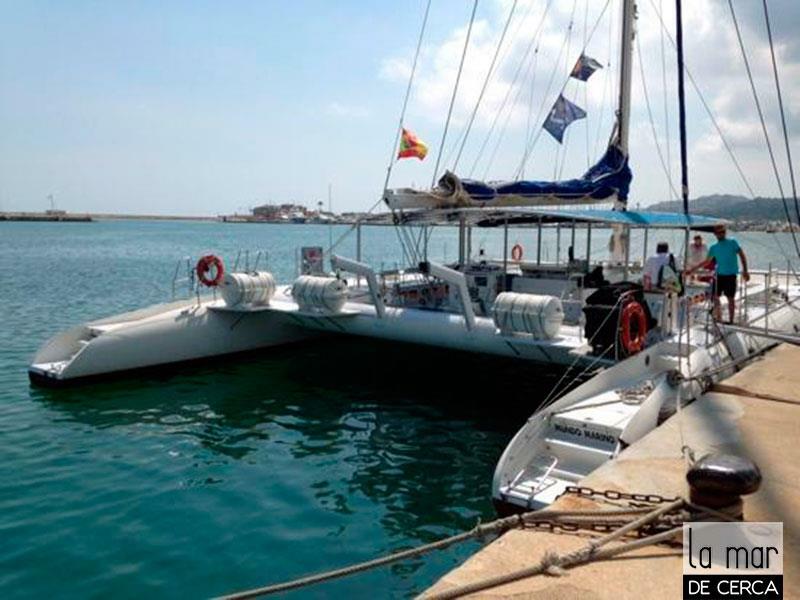 We will proceed towards "El Palmar", a fishing island, and the "Dehesa del Saler" formed by an alluring pine forest situated between the Albufera and the Mediterranean. 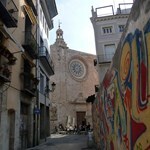 This location is hopefully one of the most charming areas of Valencia. The pleasure of cooking PAELLA AUTÉNTICA's recipe We invite you to come and enjoy the delight of the authentic Valencian paella practiced by Valencians, in a classic country house ... morenext to orange and rice fields. In the course of the cooking class, the chef will reveal many secrets, myths, traditions, unique procedures and some essential tips for the preparation of this famous Spanish dish with worldwide recognition. 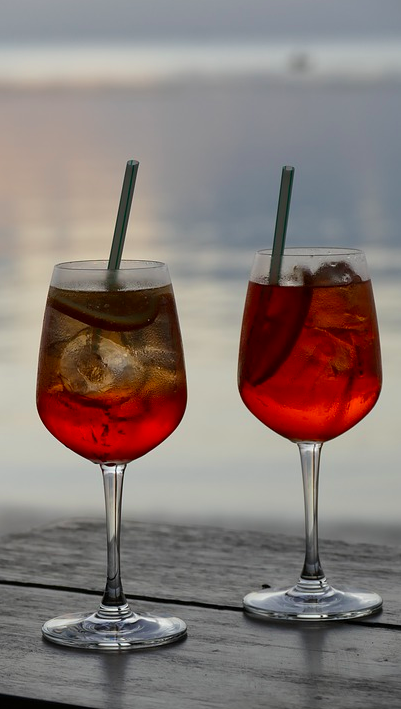 We will have a break to enjoy an aperitif and a drink with distinctive products from the cultivated fields of Valencia, while the paella is slowly cooked. The paella will be followed with fruits from our fields and "La coca de Llanda", a homemade cake really appreciated by Valencians accompanied with "Mistela", a sweet drink. Our chef will issue a certificate at the end of the course to certify him as an ambassador of the authentic Paella. After you have enjoyed our gastronomy, we will end the day with a boat trip on the "Lago de la Albufera" for an experience close to the majestic land of Valencia. Albufera is the largest lake in Spain and one of the key areas of wetlands in the Iberian Peninsula. It is a region of exceptional ecological interest in which specific species of waterfowl hibernate. The pleasure of cooking We invite you to come and enjoy the delight of the authentic Valencian paella as practiced by Valencians, in a classic country house neighboring orange trees ... moreand rice fields. In the course of the cooking class, our Chef will divulge the secrets and traditions of our gastronomy, you will also realize the paella recipe. 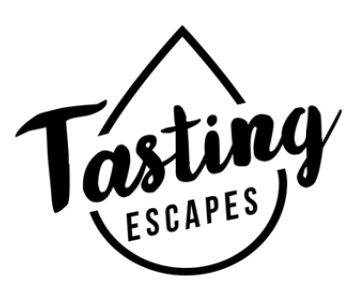 We will have a break to enjoy a snack and a drink with distinctive products of the cultivated fields of Valencia, while the paella is cooking slowly. You will then have the chance to taste the appetizing paella. Paella pairs perfectly with Valencia wines. After you have had the tasty paella, you will relish fruits from our cultivated fields as well as the "La coca de Llanda", a homemade cake genuinely appreciated by the Valencians. The "La coca de Llanda" goes down well with "Mistela", a sweet drink. 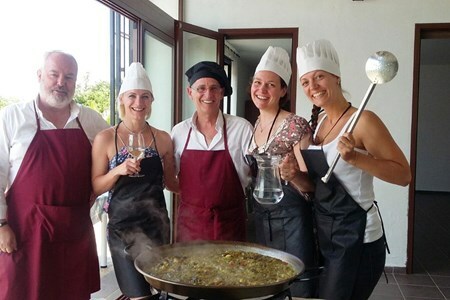 Our Chef will issue a certificate at the end of the course, to certify you as an ambassador of the authentic Paella.